The photo on the left shows a train on its way to Azamgarh [Uttar Pradesh]. The nondescript Sherwan village near Sarai Meer in Azamgarh district is hosting an Aalami Tablighi Ijtima. Special trains have been run, cell phone towers installed, hundreds of makeshift eateries set up for the grand gathering. Dispensaries have already been opened for the devout who will arrive here for the congregation. Here, you can see, how participants are standing on the space on either side of the railway engine. Surely, the administration should have anticipated the arrival of the large number of people. The railway could have commissioned special trains and in process it would have earned money as well. Till now we had seen photos of passengers sitting atop trains and hanging by the door of the compartments in Bangladesh where the Biswa Ijtema is held. 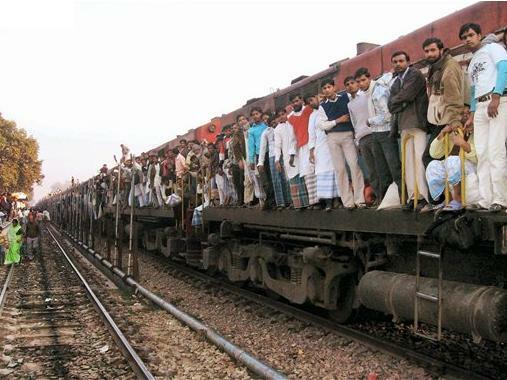 This sort of overcrowding is not commonly seen in India. However, the trains on way to Azamgarh present a similar picture. The Tablighi Jamat is holding the meet which will purely be dedicated to self-improvement in the light of Islamic teachings. 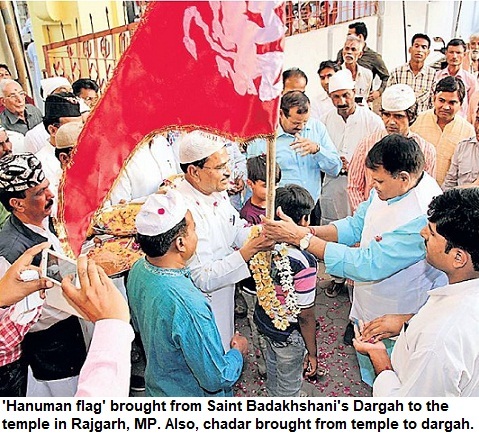 The Jamat's congregations are totally non-political.